You may consider your home the safest place in the world as after all this is the one place people might consider they are most comfortable staying in. However, if unmanaged, your home might be an extremely dangerous place. Improving home safety against injuries such as slips and falls may just make it more appealing to you and your family. According to the Centers for Disease Control and Prevention, one out of five incidents of slips and falls actually cause injuries to the head or even broken bones. In the United States alone, around 2.8 million adults are actually sent to the emergency room because of these occurrences, with 800,000 more needing some form of hospitalization. Medical costs for these incidents were at least $50 billion last 2015, which makes slips and falls such a costly affair to experience. Remember that sometimes unfamiliar footing and/or uneven footing can be one of the major causes of slips and falls in dark places, and emergencies can make slips and falls much more prone for individuals in duress. If possible, try to make sure there’s adequate lighting around the house in order to help everyone see properly should they have to walk on hallways or downstairs. A good way to do this is to make sure you always have adequate lighting around the house and regularly replace bulbs that are broken or that aren’t functioning anymore. If need be, try to install more lights around the hallway or places at home that people always pass, especially after dark. Another handy way is to keep emergency lights or portable sources of light such as an LED flashlight with spare batteries near the bed should you have the need to traverse dark places. Keeping a small LED flashlight on your keyring, or remembering how to use your smartphone’s flashlight feature, can be a handy way of adding a degree of protection against slips and falls. Sometimes one of the best ways to improve home safety against slips and falls is to make sure the house itself is built with the necessary upgrades against slips and falls. Components such as guide bars on hallways and slippery places such as the kitchen and/or the bathroom and gates for stairs are helpful to make sure the eldery and children aren’t made prone for slips and falls, and that everyone always has something to hold on in the case of slips and falls. 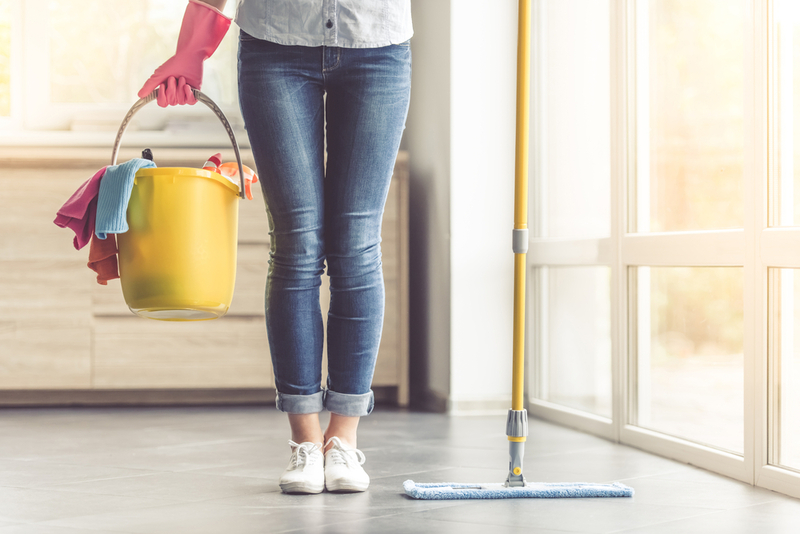 Remember that clutter can be one of the major causes of slips and falls at home, and sometimes these are easily one of the few things that can be remedied by proper cleaning. You have to make sure there aren’t any visible obstacles and that there aren’t any clutter around places such as hallways and/or stairs that might be sources of tripping. Keeping things organized around the house can greatly help avoid slips and falls. Make sure supposed clutter are either sorted our or actually thrown out of the house if they aren’t useful. Make sure low compartments such as drawers and cabinet doors aren’t left open, and that carpets and mats aren’t uneven as they can cause trips. Home is where the heart lies, so it’s very hard to imagine that the home can be in fact a dangerous place to be in if things aren’t in order. The tips above may hopefully help you have a better understanding of how to improve home safety against slips and falls as while these may sound mediocre at first, slip and fall injuries may in fact lead to very serious consequences. Consider clicking here to get in touch with a lawyer that might assist you with the legalities of the situation as well.